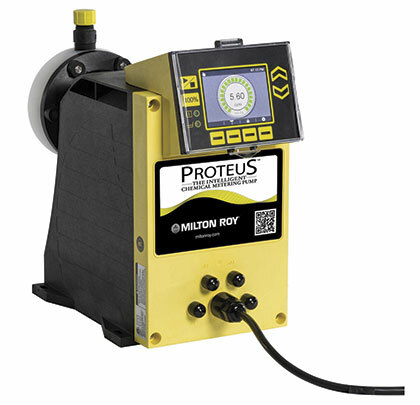 Milton Roy, a leading manufacturer of controlled-volume metering pumps, and a brand of Accudyne Industries, announced the Proteus™ line of Intelligent Metering Pumps, which have been engineered from the ground up to meet today’s standards for accuracy, reliability, and process control flexibility. Proteus metering pumps are designed for the specific requirements of municipal and industrial water and waste treatment. Available in two control configurations, manual and enhanced, Proteus pumps also fit seamlessly into the process control requirements of a wide range of applications, including: general industry, agricultural, chemical, oil and gas; power generation, pulp and paper, textiles, and other applications. For more information, visit www.proteuspumps.com or www.miltonroy.com. 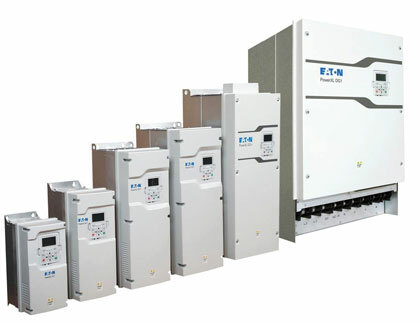 Power management company Eaton today announced that it has expanded its line of popular PowerXL Series DG1 variable frequency drives to include a new, more powerful Frame 6 option. Designed for global commercial, industrial, and original equipment manufacturer customers, the new Eaton engineered drive increases available power from 150 to 250 horsepower, affording customers greater agility, reliability, and safety for their applications. 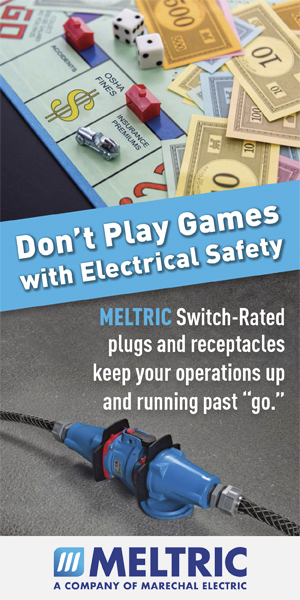 Compared to traditional control methods, Eaton’s PowerXL DG1 series drives reduce energy consumption while helping customers reduce energy costs. 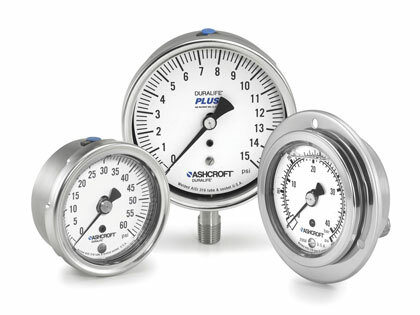 For more information, visit www.eaton.com/powerxldg1-p.
Salt spray, chemical wash-down, and corrosive environments are no match for Ashcroft industrial pressure gauges equipped with 316L stainless steel cases and rings. Newly offered on selected 1009, 1008S, and 2008 models, these rugged enclosures will maximize reliability and long life when operating in nearly any conditions. For more information, call 203.385.0635 or visit www.ashcroft.com. 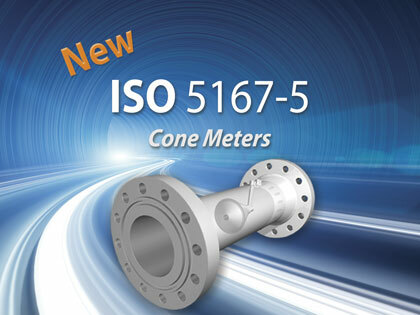 With decades of proven performance, the innovative V-Cone® Flow Meter from McCrometer conforms to the new industry standard ISO 5167 Part 5: Cone Meters, which helps engineers make better informed decisions about cone flow meters in the same way that they’ve relied on Parts 1-4 for other types of differential pressure (dP) meters. McCrometer’s V-Cone meter, Voss explained, already conforms to the American Petroleum Institute’s API 22.2 Testing Protocol for Differential Pressure Flow Devices. It also is certifiable to local or regional standards including: Measurement Canada, INMETRO, GOST and others. For more information, visit www.mccrometer.com. 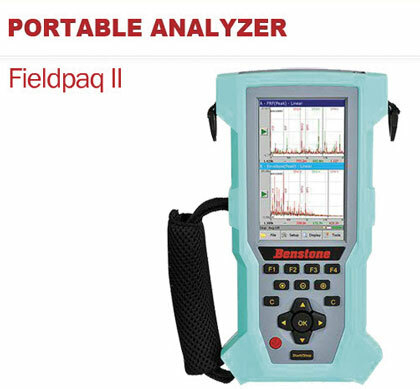 Benstone Instruments is pleased to introduce the Fieldpaq II- a new portable four channel real time analyzer for your maintenance needs. Faster data collection with our simultaneous triaxial measurements and four channel measurements, saving many work hours in the field. High frequency spike detection and demodulated spectrum analysis is a standard feature for identifying bearing and gear failures at earlier stages. Features include route data collection, raw data recording, advanced dynamic balancing, modal and ODS testing, and cross channel analysis to name a few. For more information, call 651.257.6500 or visit www.benstone.com. The HALD-48-2X150LED-V2-C-OXM explosion proof LED warning light from Larson Electronics is a Class 1 Division 1 oxygen level warning light that is approved for use in hazardous environments where explosive and flammable gases, vapors, and dusts may exist. This signal light is equipped with two 150 watt LED fixtures that indicate the status of oxygen levels within the environment. 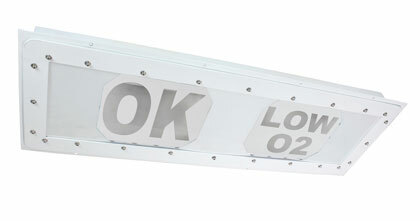 A green “OK” sign is illuminated by a single 150 watt LED on the left side to indicate that the oxygen levels are satisfactory. A blue “LOW O2” sign is illuminated on the right side to indicate that oxygen levels have reached an unsatisfactory level. For more information, visit www.larsonelectronics.com.